Join Us For The Best Muay Thai In Albany! Welcome To Our New Website! We’re Proud To Serve Albany with Muay Thai! Albany MMA is an awesome place. The workouts are challenging and the staff is SUPER knowledgeable. It does not have the usual muscle head atmosphere of a gym. The customers as well as the staff are all Super Friendly and Supportive. The workouts are enjoyable and results evident after just a few weeks. Alan Condon the owner is very hands on and takes true pride in the facility, his staff, and his clients. My time and training with Empire is invaluable to me. 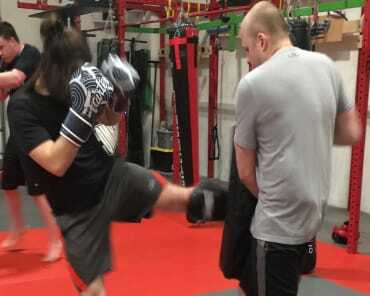 As a student in the Muay Thai program, I have been invested in by staff and fellow students alike - my success feels like a priority to everyone around me. The facilities and instruction are second to none and thoughtfully handled. Alan and Cheryl manage a great business and take the measures to maintain a great environment for all of us - it feels like a family. I feel more confident and capable in my body than I ever have from the strength I've built and progress I've made - it really is the best part of my day. I can see my involvement here for many years to come. Excellence is a choice and you can achieve it here! I love the people I train with and the course content is for the real world so if the worst happens, you'll be prepared!